Citroen launches 'scrappage' scheme | What Car? Citroen has announced its own scrappage scheme, ahead of any UK Government-backed plan. 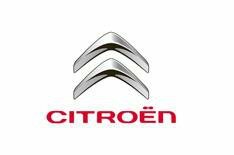 Citroen buyers with a part-exchange car that was registered before 2000 will receive 2000 and have their vehicle scrapped at an Authorised Treatment Facility (ATF). Those with a car registered between January 2000 and December 2002 are entitled to 1000, but the vehicle won't be scrapped. The new Trade-In Incentive scheme applies to new C4, C4 Picasso, C5, C6, C8, Berlingo Multispace and C-Crosser models ordered during April and registered by the end of June 2009. The deals are offered in addition to all existing cashback offers. Combine the cashback scheme with trade-in offers and you'll be able to buy a C4 five-door from as little as 7995, for example. Current cashback offers on Citroen models not included in the new scheme include savings of up to 2900 on the C3 supermini and 1300 off the C1 city car. Help the UK's car makers and car buyers by signing our petition urging Alistair Darling to announce a scrappage scheme in the forthcoming budget.